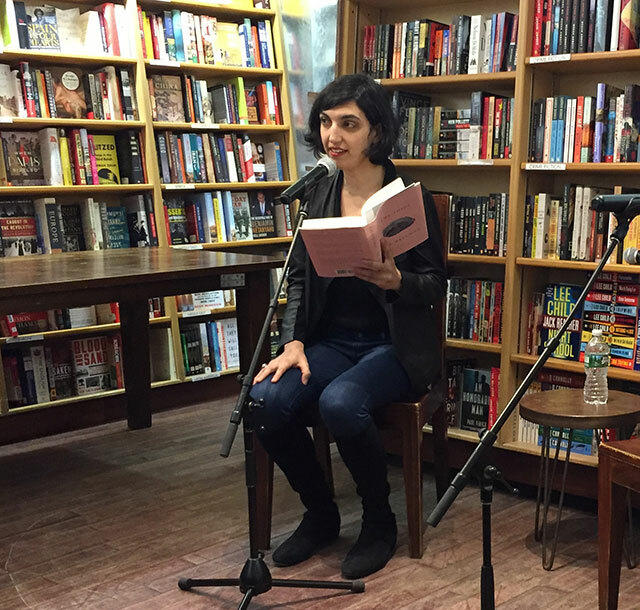 Elif Batuman was at McNally Jackson Books to discuss her debut novel, The Idiot, about a young woman at Harvard in the mid-1990s. Batuman previously wrote The Possessed, an examination of Tolstoy and the existential experience of graduate students, and her essays have appeared in The New Yorker and elsewhere. 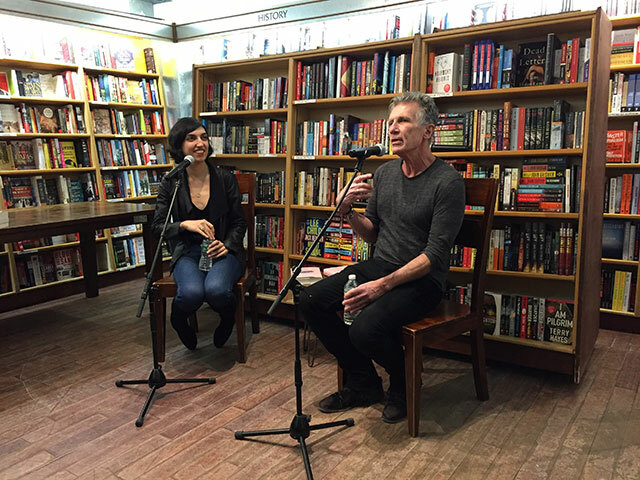 She was joined for conversation by Michael Cunningham, author of The Hours. “I was surprised too [that] the novel I wrote was about an eighteen-year-old girl,” Batuman says. The Idiot begins with Selin, the daughter of Turkish immigrants, setting up her first email account at the university, and immediately 1995 feels like a quaint era to set a historical novel. Cunningham smartly points out that asking novelists to explain their novels is futile; every word in the novel was chosen to describe what the novel is about. So then, what is fiction for, he poses. For several years, Batuman lived in Istanbul writing for The New Yorker as a foreign correspondent. During that time all she wanted to do was read novels. When she first started pitching stories, editors told her the ideas were better for essays. So she accidentally became a nonfiction writer for a decade. With nonfiction writing, the fact that something happened suggests that it’s worth writing about. But as distinctions between types of writing, fiction and nonfiction are less useful. Batuman prefers to think about writing as either subjective and objective. Nonfiction suggests to people that what they are reading something real and truthful, and so fiction feels like it should be the opposite of that. As a reader, Batuman admits she wants to know how much of a character is drawing on a writer’s biography. But as a writer, its less useful to her. She hasn’t written a memoir. The Idiot has been twenty years in the making. Batuman started writing it in college, when she says she wasn’t good at writing novels. To pass the time, she enrolled in graduate school expecting to have more opportunity to write. When she was twenty-three, she was living with a college boyfriend, cooking dinner at home every night, and somehow convinced herself she was adulting. Then for a time she was really into graduate school and that was when she wrote The Possessed. For a while Batuman struggled with a novel manuscript, then found the old manuscript she had been working on in her twenties. She decided she loved editing that old manuscript. When she wrote it, she had been writing about her life. When she came back to it, she had a historical novel. As she went through the old novel, she found similarities to the newer manuscript she had been working on. There were parallels between the two, and then halfway through the old manuscript she came across a line about having two lives–a theme from the newer book.